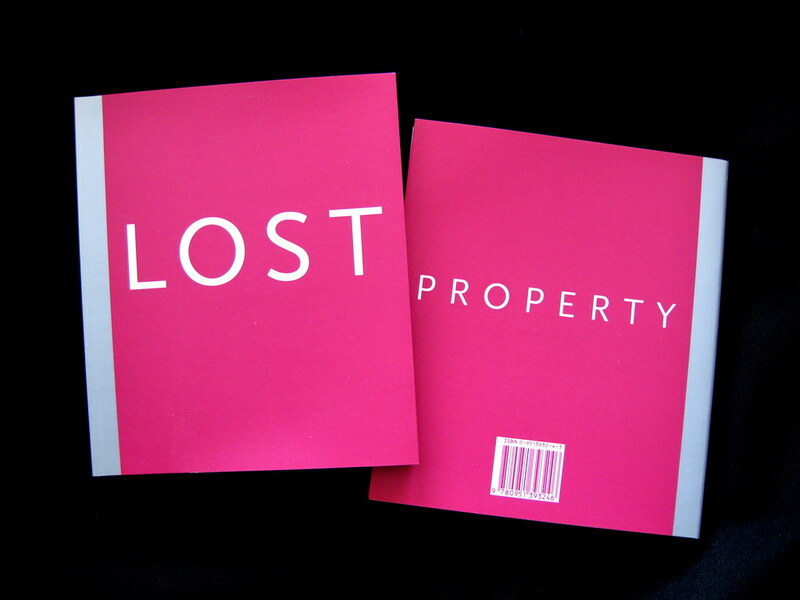 The second is Lost Property, a book resulting from a collaboration between myself, Marysia Lewandowska, London Underground and Public Art Development Trust. 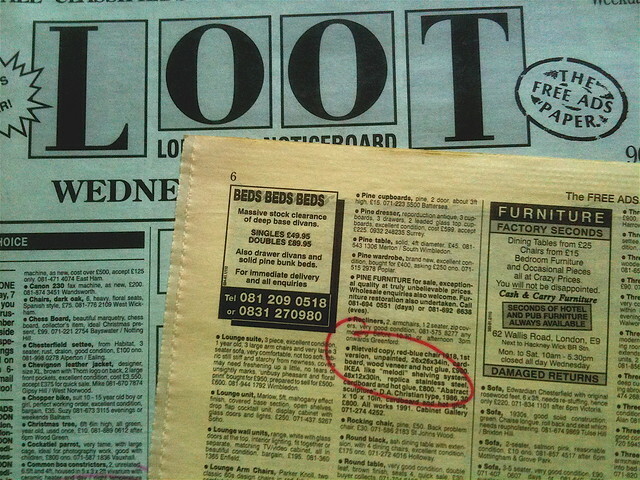 It represents a selection of things from one days property recovered by the London Transport Lost Property Office. We are easily seduced into acquiring, exchanging and displaying vast quantities of material things. Things are found, polished, displayed and treasured; bought, bound or framed and collected; the object, plucked from the generic soup of retail culture, is momentarily arrested and woven into an intimate personal narrative, "I bought this when I was in Paris". It's this narrative which marks the thing as a possession and simultaneously allows the narrator to refine and evaluate experience, to evolve a sense of difference or belonging. The thing itself, as commodity, inheritance, gift or souvenir, has become a privileged vehicle for establishing an emotional and intellectual identity. Things authenticate experience. This much is well known. The dark shadow within our seamless assembly of possessions and continuous narration of `self`, is loss. The word loss delineates a terrifying space, it is the void over which all exchange and collection precariously take place, but, from which no insurance or story can ever protect. Loss infuses accumulation with fear, everything, even our most precious belongings continuously circulate within its grasp. Lost Property touches the wound opened between lost property, and the emotional investment implicit in personal possession. Comprised of photographs and texts, the book mimics the dispassionate style of a museum catalogue in an effort to re-inscribe the absence all the more emphatically. The things pictured, are still missing from these pages. A temporary collection bound by this catalogue parodies the conventions established by museum acquisition. Although the collection is a well known paradigm of perfection, the objects here are always already incomplete, misplaced, fallen from narration, and never to return. For Aphasic Disturbance, Stephen Bury takes Roman Jakobson’s seminal essay of 1956, Two types of Language and Two Types of Aphasic Disturbance, as the starting point for this exploration of artists’ books and artists’ multiples. A salient example from the history of painting is the manifestly metonymic orientation of Cubism, where the object is transformed into a set of synecdoches; the Surrealists responded with a patently metaphoric attitude. This exhibition explores how contiguity and narrative operate in artists’ books and multiples, and includes works by John Baldessari, Fiona Banner, Bernd and Hilla Becher, Joseph Beuys, Christian Boltanski, Victor Burgin, Neil Cummings, Layla Curtis, Douglas Huebler, Kenny Hunter, Anselm Kiefer, Sol LeWitt, Peter Liversidge, Marisya Lewandowska, Aleksandra Mir, Dieter Roth, Leanne Shapton, Jane Simpson, Sarah Staton, Daniel Spoerri, and Yoko Terauchi. Stephen Bury was the Librarian of Chelsea College of Art & Design until 2000, then became the Head of Modern English Collections at the British Library, and now Andrew W. Mellon Chief Librarian of the Frick Art Reference Library, New York. He has published ‘Artists’ books’(1995), ‘Artists’multiples’ (2000) and ‘Breaking the rules’ (2007).